The optic nerve is vital for vision—damage to this critical structure can lead to severe and irreversible loss of vision. Fengfeng Bei, PhD, a principal investigator in the Department of Neurosurgery at Brigham and Women's Hospital, and his colleagues want to understand why the optic nerve—as well as other parts of the central nervous system including the brain and spinal cord—cannot be repaired by the body. 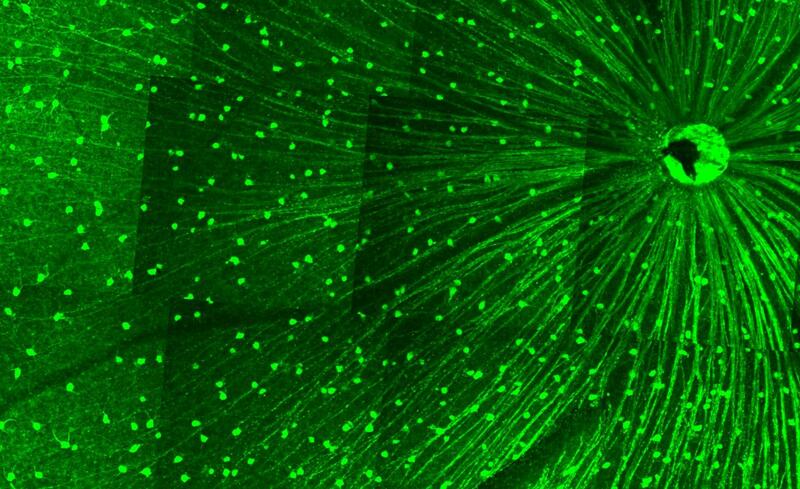 In particular, Bei's lab focuses on axons, the long processes of neurons that serve as signaling wires. In a new study published in Neuron, Bei, Michael Norsworthy in Zhigang He's lab at Boston Children's Hospital and colleagues report on a transcription factor that they have found that can help certain neurons regenerate, while simultaneously killing others. Unraveling exactly which signals can help or hinder axon regeneration may eventually lead to new and precise treatment strategies for restoring vision or repairing injury. Previous studies using the optic nerve as a model for injury have found that manipulating transcription factors—the master control switches of genes - might represent a promising avenue for stimulating axon regeneration. In the current study, researchers focused on transcription factors likely to influence the early development of retinal ganglion cells (RGCs). There are at least 30 types of RGCs in the human eye, which control different aspects of vision, and the researchers were interested in the effects of transcription factors on various types of RGCs. 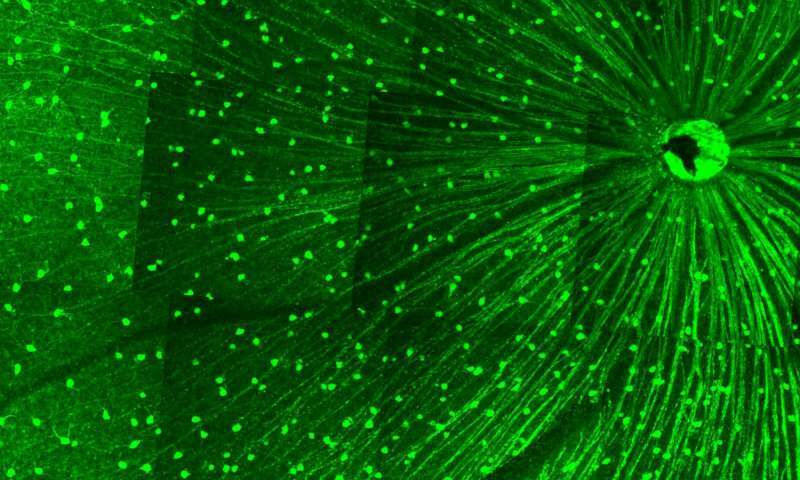 Using a mouse model of optic nerve injury, the research team found that increasing the production of a transcription factor known as Sox11 appeared to help axons grow past the site of injury. However, the team observed that the very same transcription factor also efficiently killed a type of RGCs known as alpha-RGCs which would preferentially survive the injury if untreated. Bei notes that the heterogeneity of the nervous system—the inclusion of different cells with different properties and functions—will be an important consideration as researchers work to reprogram and, ultimately, restore the optic nerve, brain or spinal cord after injury.